February is the perfect time to freshen up and declutter at home, and a new bin can make a huge improvement in the kitchen. Having a good-looking, quiet and copious bin really can save your time, reduce angst and add the panache of smart design to your space. If you want a free-standing pedal or touch bin and need to recycle, we have dual or triple bins so you can sort your waste and recyclables in one convenient unit. The growth of recycling and the need to keep it stored in sometimes small spaces can be an issue but an ingenious solution is to turn a kitchen cabinet into a built-in bin. Integrating a bin into your cabinet means it can be positioned near to where you prepare food or where you clear up, so this makes for better ergonomics in your kitchen routine and helps you to sort your recycling at the throwaway stage in the kitchen. We have one of the most extensive selections of In-cupboard bins around, and as we’re specialists we’ve chosen the best products from premium manufacturers to fit various types of cabinet, old and new, and with features including soft-close runners and integral lids, you can free up floor space, keep the clean lines of your fitted kitchen and still hide the waste and recycling away. To help you organise your outgoings effectively and with a dash of style, take a look at some of our customer favourites as a starting point. Our comprehensive and accurate product information will help you choose, but we welcome your call if you’d like to find out more about any of our bins.  And don't forget to check our fantastic Feefo reviews, which are genuine comments directly from customers. We know from what our customers tell us that a top quality bin is a worthwhile investment which will help you declutter this year and beyond. Our products are guaranteed, genuine premium models direct from the manufacturer and they can often be refreshed further into their life with new lids or inner bins to keep them smart. They are designed and manufactured to last for many years (not designed with built-in obsolescence). In no particular order, here are 10 of our most popular recycling bins. Could one of these ideas help you get your kitchen or office off to a fresh start? Extra strong pedal and Industrial Chic styling, with two recycling compartments under a soft-close lid. An internal pocket holds liners just where you need them. Also available in Black Steel or Rose Gold finishes. One of our best sellers because it has a massive 84 Litres of capacity with two large 42L compartments.This bin is for kitchen cabinets with 600mm wide pull-out doors and its soft close runners make for smooth operation. Two big compartments slide out from a steel frame, easy to fix to the base of cabinets with hinged doors. The front panel and lid are heavy duty steel and the inner binds have handles. Because bins for hinged door cabinets are self-contained, you can position them in a wider cabinet to make space for water filters, cleaning materials or pipework. The Bo is the bin which does not look like a bin! More like a stylish piece of furniture, this double recycling bin is proving popular in open-plan interiors where the bin needs to be in view. Available with one, two or three inner compartments which are easily accessible through the wide-opening touch lid give you good capacity in a compact steel body. Choose from 8 colours including metallics and Daisy Yellow, perfect for adding some Spring sunshine. This smart triple bin is designed to make the most of a low height-space in a 600mm cabinet with Hinged doors. Although it’s only 350mm high and 400mm deep, Blanco’s designers have squeezed every last millimetre of capacity into this neat unit. One of the fantastic Blanco range, perfect for a new kitchen, or retro-fitting into an existing cabinet to update and upgrade your space. Multi-compartment, flexible recycling in a discreetly styled unit, tall but with a small footprint. Also in Graphite and Stainless Steel, and including a neat food caddy to store inside the Totem or on the worktop. Fast becoming a design classic and now winner of a prestigious Red Dot design award. For 500mm cabinets with pull-out doors, this is a great unit for more compact spaces needing only 439mm height and a minimum cabinet depth of 450mm. It fits 49 Litres of recycling or waste capacity below a typical drawer and comes complete with soft close runners. Precision engineered and made from top quality materials. The Top-Scoring recycling bin as tested in Your Home's June 2018 issue, this slimline sensor recycling bin fits great recycling capacity into tight spaces. The sensor opening lid opens from the centre with a wave of your hand and closes itself quietly when you leave. Great value for a strongly built steel sensor recycling bin. The Mirage sensor recycler is in a wider, shallower shape. A beautiful glossy colour finish and characterful Wesco styling combine with a soft-close centre-opening lid and narrow footprint. This means that this bin can fit below worktops or in tight spaces, bringing some retro style and good recycling capacity into your kitchen. The two 20L inner bins make sorting and storing your recycling simple and convenient. 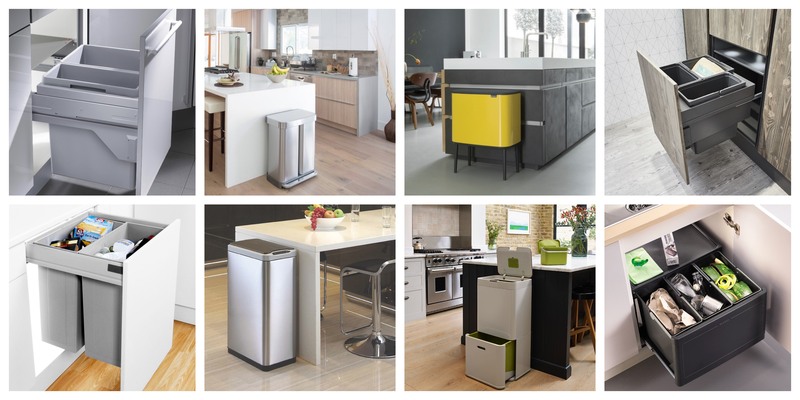 Who knew that bins could have a transformative effect on your kitchen space as well as tidying away all the waste? Getting the right bin really is worth it, and with our top quality products you'll find that a little extra investment will result in years of excellent service.